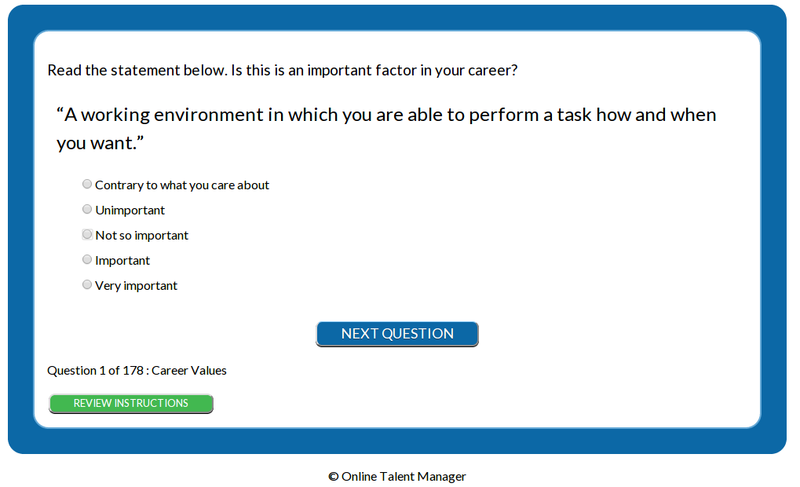 The Career Values test gives insight into what elements are important for his or her work. Associate’s Degree or higher. This test is less useful for people without any work experience. When should you use this test? – Selection: Do the needs of the candidate match with what the organization/function has to offer? – Development: Highlight what someone wants and/or needs from their career.